The flight to Japan from Australia is about nine hours long, and while I generally get the overnight flight (so I'm not wasting time during the day in the air), I also can't sleep on planes. I'm 6'3", with long legs. Planes weren't made to fit me. Thankfully I also fly Japanese airlines, and that means I can use the time in the air to catch up with Japanese films that get a limited (or non-existent) release in English-speaking territories. This year I got to watch a relatively new release; Destiny: The Tale of Kamakura. Don't worry, this has nothing to do with the video game Destiny. It's actually intelligent. 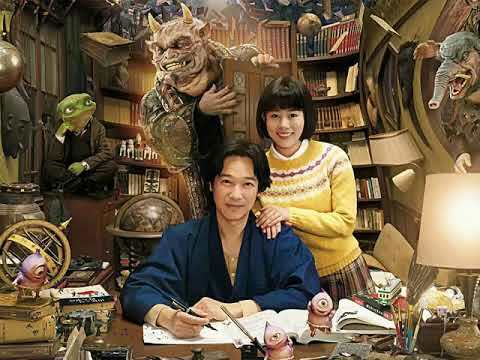 It's a really delightful and sweet comedy/ fantasy film, and immediately it moved right up there with my favourite Japanese films. I'll be looking to pick up the DVD if I can. The Tale of Kamakura is indeed set in Kamakura; a city a few hours out from Tokyo with an ancient history and a reputation for being an escape from the business of Japanese life for authors and other creative or imaginative souls. Seriously, the city has had an intimidating number of Japan's most important authors that lived there, and it's something the people of Kamakura are very proud of. A national museum for literature is hosted in the city, and in there is a map of all the authors that either lived in Kamakura, or for who the city had a powerful impact on them, their writing, and careers. There are a lot of red dots on that map representing those authors, including such names as Natsume Soseki, Yasunari Kawabata, and Yukio Mishima. At one stage there was even a highly prestigious association of authors ("bungo") that formed in Kamakura and attracted other authors from all over the country to move to the city. So naturally Destiny: The Tale of Kamakura is about an author, Isshiki Masakazu, and his new wife, the rather beautiful Akiko. In addition to being an author, Masakazu is a talented detective, and helps the local police force solve crimes. But there's more to this town than what immediately meets the eye. See, Kamakura is also a place in which the borders between the human and spirit world are thin, and that means that there are all kinds of both benevolent and less pleasant spirits hanging around town. After a couple of amusing and entertaining encounters with a bad luck kami (God), and goblin shroomin', the story of the young couple takes a turn when Akiko ends up dead (this isn't a spoiler, I swear), and Masakazu decides to go to the realm of the dead and rescue her. There are a couple of things that are truly delightful about this film. Firstly, its sense of humour. I tend to find Japanese humour is at its best when it's subtle and as much about word play or amusing reactions to what's going on around the characters, and that's certainly what The Tale of Kamakura is about. There's minimal (if any) physical comedy, but it's the kind of film that you'll chuckle along with throughout. A reasonably all-star cast help to really sell the comedic beats, and keep even the darker moments (such as death) bright. The film also works as a romance. The concept of travelling to the afterlife to rescue someone is incredibly romantic in its own right, of course, but the first half of the film, which is almost slice of life in tone, really helps to sell a really sweet relationship between a rather bumbling husband (competent as he is as a writer and detective, he has no idea how to be a husband), and rather innocent wife who has moved to a very weird place in Kamakura and is quite out of her depth with all the spirit stuff going on... and yet seems quite content with rolling with the proverbial punches. Finally, the film works as an adventure story. Yes, the production values aren't up there with, say, The Avengers. But the vision that the film has is gorgeous, both in the real world (Kamakura really is the most beautiful city in Japan, and this film captures its unique classical Japan notes perfectly), and the fantastic underworld (if Spirited Away were a live action film it might look a little like this). That art direction really helps to drive the incredible sense of adventure home. There's even a stylish little action sequence at the end for people who absolutely must have a fight scene before they can enjoy a film. It's a film that won't necessarily resonate with all western audiences. Pacing of these kinds of films can seem really odd to us - almost a case of "blink and you can miss critical plot points because the film's got too much to work through". One thing about Hollywood is that the storytelling is incredibly streamlined and honed to razor precision. The Tale of Kamakura, meanwhile, meanders all over the place and features scenes that seem unrelated to the rest of the plot until right towards the end, and that tends to be demanding on the attention of the audience. It's also a film that will resonate more with people who have a familiarity with Kamakura itself. This is my favourite place in Japan - a real home for my soul within the broader Japan-as-my-soul's-home, and between recognising many of the locations in the film, and the laid back, casually friendly spirit of the locals, The Tale of Kamakura absolutely nails a side of Japan that most people never get to experience or see. But despite this I highly recommend watching Destiny: The Tale of Kamakura if you get the chance. 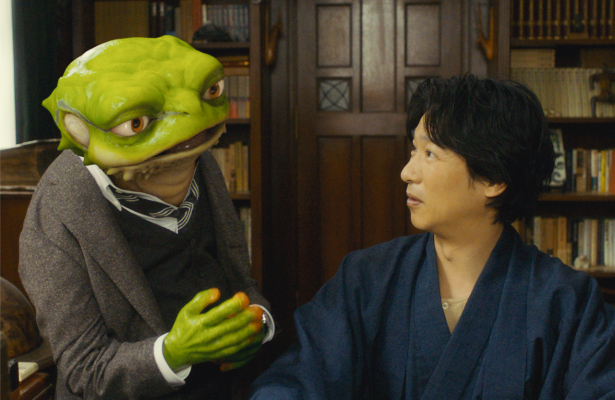 Even if Kamakura means nothing to you, the beautifully sweet storytelling, gorgeous cinematography and art direction, and universally brilliant performances makes for a delightful, quirky experience quite unlike anything you'll find in mainstream cinema.